Read Amy Brenneman's message and share your thoughts on our Message Board... Amy and the Writers and Producers read your messages! Read about the cancellation of Judging Amy. Congrats to Amy and Brad on the birth of their son, Bodhi Russell Silberling! Congrats to Tyne Daly on her Emmy nomination! Watch JA reruns on TNT. Don't miss our exclusive interview with Judging Amy Executive Producer Barbara Hall. Love the music? 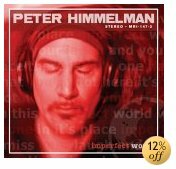 Visit composer Peter Himmelman's website. All referral fees go to Starlight Starbright Children's Foundation. "Judging Amy" ©1999-2005 Twentieth Century Fox Film Corporation & CBS Worldwide Inc. Photos and articles are the property of their respective copyright holders. Judge Amy: Judging Amy Fan Site ©1999-2005 jafan judingamy.tripod.com judgingamy.tvfans.org. All rights reserved.